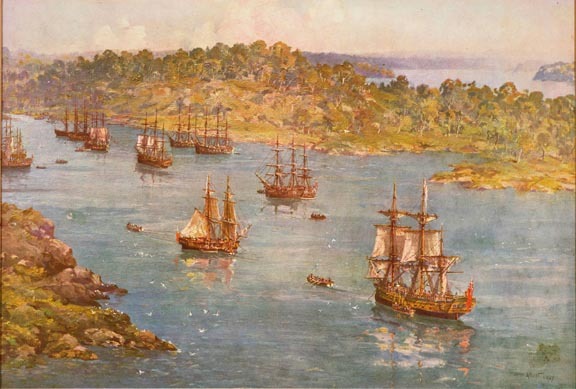 The first fleet in Sydney Cove, 27 January 1788. Artist, John Allcot. National Library of Australia.